So delicious!! All you do is take the seed out of the avocado and then spoon out a little bit more so the egg fits. 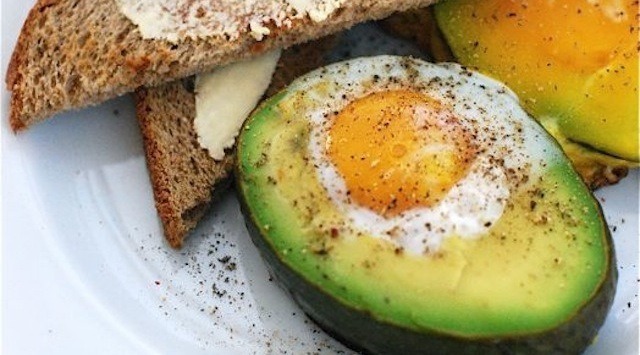 Crack and egg and pour into avocado. Add cheese and pepper. Bake in oven at 180 degrees until the egg is to your liking. I love this recipe and know you will too.